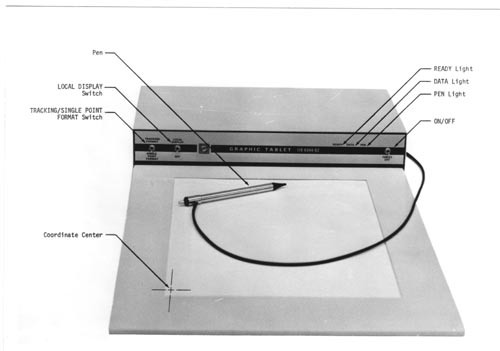 B&W image of Tectronix Graphic Tablet. Has pen with cable attached laying on pad surface. Control panel has switches and identification.